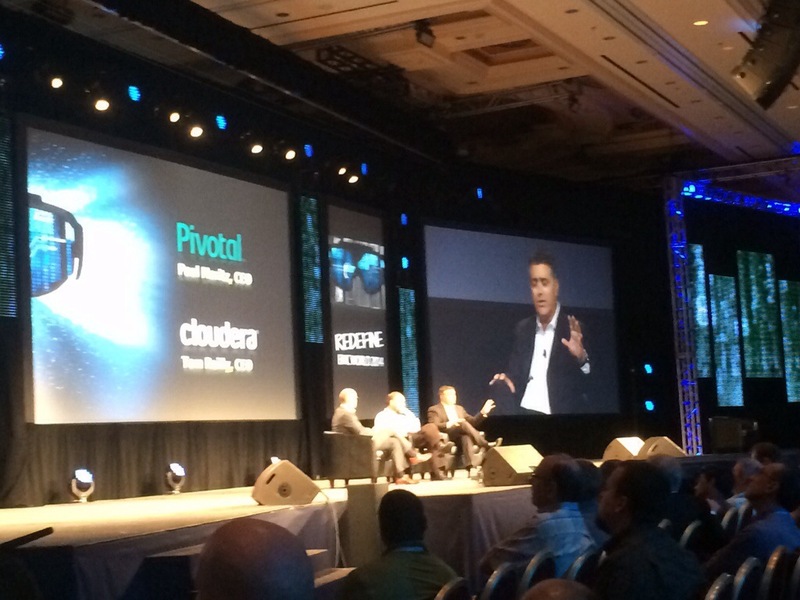 It’s not every day that you see the CEO of Pivotal and the CEO of Cloudera on stage together. Today Paul and Tom discussed where they see the future of Hadoop and how Isilon is helping them move Hadoop into the centre of the enterprise. Paul Maritz’s comments were around the idea that Hadoop is now moving to be a critical platform for enterprises, hence the need for Isilon’s ability to make Hadoop enterprise ready. Revenue for EMC Isilon in the Hadoop space is growing at 259% per annum. Customers at the same session (FedEx and Adobe) talked about how Isilon drives down the Hadoop TCO by eliminating the “triple replicate penalty”, while improving availability through business continuity and eliminating data loading by being the central data hub. Paul said it would take a while, but he can see a point where 50% of all workloads in the world are on HDFS. The CEO of Cloudera, Tom Reilly, said that Intel’s view is that the #1 workload user of Intel CPUs today is ERP, but eventually it will be Hadoop. A central theme was the religious debate of whether Hadoop should be used as purely a staging platform, with data being moved into warehouses for manipulation, or if Hadoop should be the manipulation engine. Clearly the view from Pivotal and Cloudera is the latter.